Conscientious objectors (COs) ‘claim the right to refuse to perform military service’ on the grounds of freedom of thought, conscience, or religion. In New Zealand over 2500 COs lost their civil rights for refusing to serve in the First World War and at least 286 of them were imprisoned. The government introduced conscription for military service in 1916 but it was initially imposed on Pakeha only. It was finally extended to Māori in June 1917 which was then followed by an outbreak of civil disobedience campaign led by Tainui-Waikato Maori under Princess Te Puea. 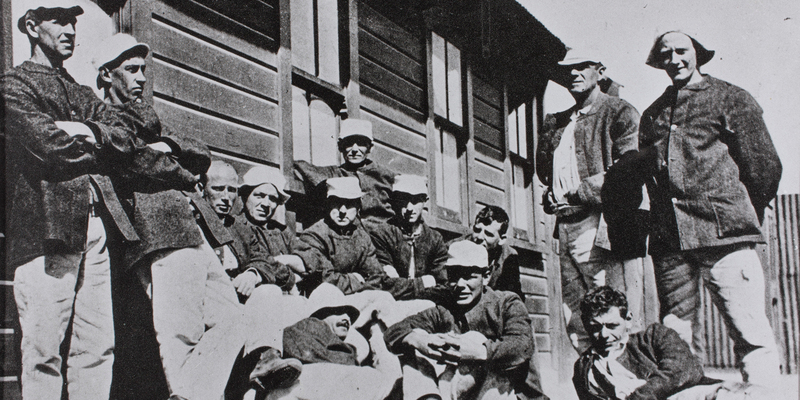 The Voices Against War website houses many stories of opposition to the First World War in Canterbury, including political prisoners who served time in the old Lyttelton Gaol, Paparua or in Fort Jervois on Ripapa Island. Public sentiment was against the objectors. Usually referred to as ‘shirkers’, they suffered vilification at the hands of the press, discrimination in their workplaces, and in some cases the loss of civil rights for up to ten years. There are also stories of the anti-militarist movement including the labour movement with many jailed for breaching the government regulations that said it was sedition to speak out against conscription or war. Although women were not directly involved in compulsory military training or conscription, members of the National Peace Council (NPC) and the Canterbury Women's Institute wrote letters to the newspapers and made public statements against conscription. They published and distributed flyers and also attended court hearings and visited the resisters and objectors in prison. Two early New Zealand conscientious objectors Archibald Baxter and Mark Briggs were sent to war against their will where the British government meted out Field Punishment No. 1 to them. This entailed tying the men’s arms stretched out and the legs tied together similar to a "crucifixion" for up to 21 days total. 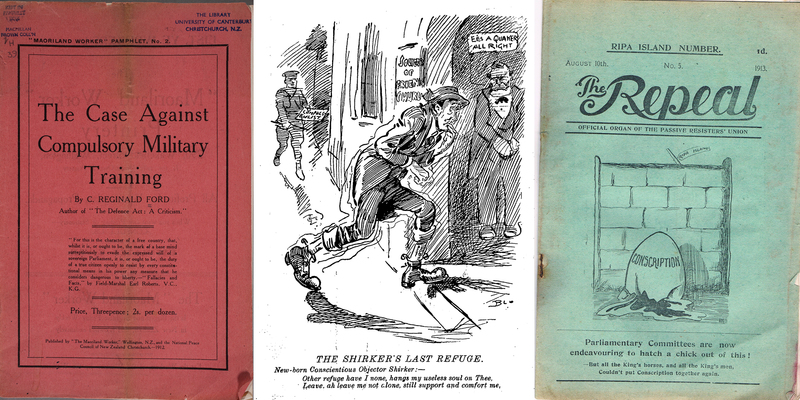 Read more about Conscription, conscientious objection and pacifism in New Zealand here. A film made by Russell Campbell called Sedition: The Suppression of Dissent in World War II New Zealand is also an excellent resource. 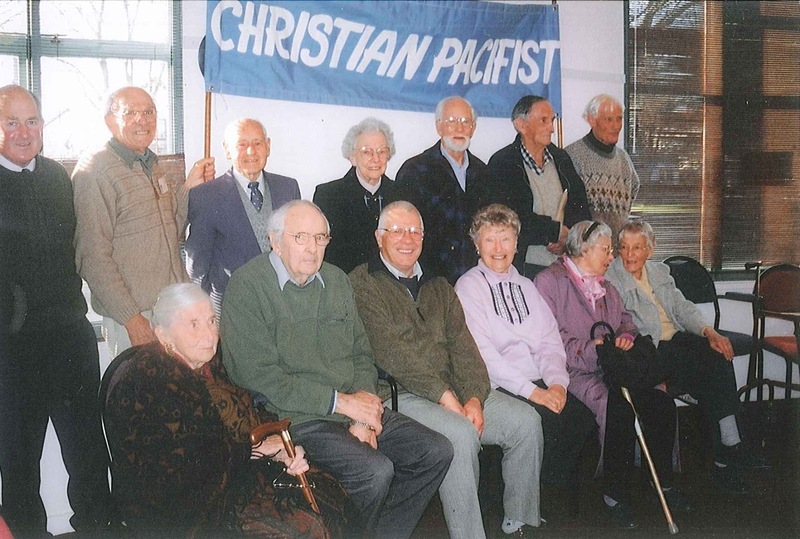 There are also stories about World War II objectors including Jack Rogers, Will Foote, Lindsay Crozier, Connie Summers, Archibald Barrington, the Christian Pacifist Society, and Anglican and Baptist Pacifists on the archived DSC website.